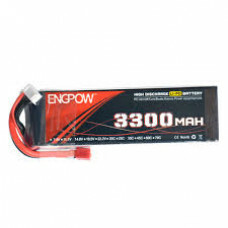 11.1V 3300mAH Lipo battery is Capable of maximum continuous discharge rates up to 35C, placing this battery among the most powerful Li-Po battery packs in its class! It offers an excellent blend of weight, power and performance. Charge Capacity( C ) : 3300mAh.